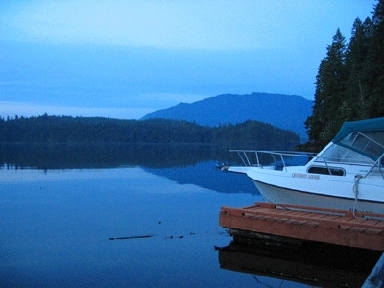 Quatsino Lodge offers Professionally Guided Sport Fishing and Sea Kayaking Tours from our small personal, family run, land-based fishing lodge located in Quatsino Sound, Northern Vancouver Island, British Columbia. 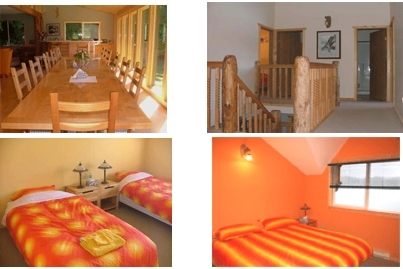 Our newly renovated lodge will accomodate groups from 2 to 12. 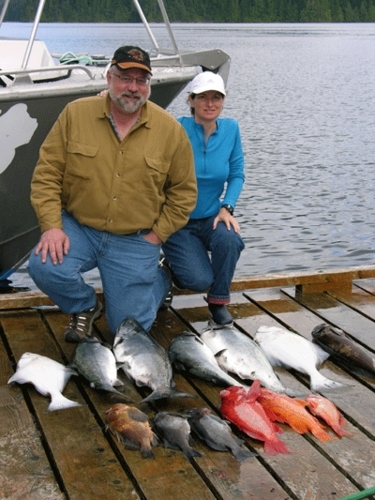 During your visit, we take you into our "family" and do everything that we can to provide you with a comfortable, friendly adventure laced with incredible fishing and, or kayaking, superb wildlife viewing and fantastic food and hospitality. A romantic getaway for these two. They fished with Nick and had some excellent times. Janice had a little green colour one day but she managed to hang tough and bang off the big ones. The gals always have the luck and they usually get the big ones1! What is it like day-tripping by sea kayak. It is paradise. Beautiful scenery everywhere you look, abundant sea life, seals, rafts of sea otters, orcas, whales and birds to watch.